You can help support our congregations missions activities by purchasing crafts at the Kiwanis Bean Feed on Saturday, February 9 from 4 to 7 p.m. 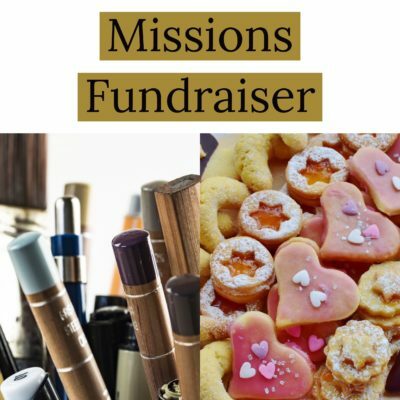 The Missions Committee is seeking donations for an upcoming Cookies and Crafts Fundraiser. All kinds of new hand-crafted items would be appreciated. Donated items will be sold at the community dinner on January 30th and at the Kiwanis Bean Feed on February 9th. All monies raised will be used to support Berryton UMC Missions Activities. Please contact any of the following people if you have items you would like to donate: Teresa Stambaugh, Betsy Wiens, Rhonda Boyd, Gary Montgomery, Ryan Vincent, Amy Jordan. If you have questions please contact Teresa Stambaugh at 785-862-6621.